The nights are certainly starting to get longer now that winter draws in, which means temperatures are dropping too. Now is the perfect time of year for pests to seek out somewhere to stay warm for the winter; which is most likely going to be your home or workplace. Many different types of uninvited guests will try to make their way into your property, in order to keep out of the cold, this winter. You may have already noticed some of them, especially spiders who tend to be the first to make their way inside. We’ve put together some top tips to help keep those pesky pest invaders at bay, during the winter. Which Pests Are Likely to Seek Warmth? Rats and mice – Small furry animals are going to be hunting for a place to stay warm during the winter, but don’t be fooled by their seemingly good intentions. 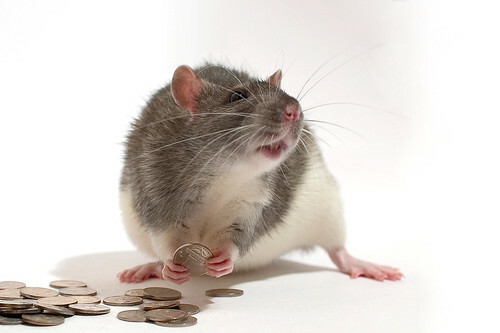 Rats and mice can cause serious damage to your property, as well as spread diseases. Make sure you deal with these pests, sharpish! Squirrels – Here’s another furry animal that you may not want to get rid of, but can cause a huge amount of damage to your property. A pest control specialist can get rid of squirrels in a safe and humane way, so that you can reclaim your property. Spiders – You may find that spiders have already started to make their way into your home, as the cold nights draw in. With such a warm summer most house spiders have grown in size, too! Although spiders may not necessarily cause much harm, most people would rather not have them in the home. Make sure you get them seen to, before they become a problem. Other pests – Birds, insects and other rodents may try to get into your home as the nights get colder. Keep your eyes peeled for any tell-tale signs that you have invaders in your home. Check for cracks – Have a look around the interior and exterior of your home, to see if you can find any cracks or holes that pests can use to get in. Mice can squeeze themselves through the tiniest of holes, for example, so these will need to be sealed up. Garages, sheds, attics and basements – Any space which is fairly warm and likely not to be used much during the winter is a haven for pests. Make sure these spaces are kept clean, uncluttered and damp free. Leaves, trees and firewood – Many pests will hide in any firewood you stockpile outside of the house, along with piles of leaves. Some pests may also make use of untrimmed trees in order to gain access to your house. Keep leaves raked, trees trimmed, and firewood stocked up away from the home. These preventative measures should stop many pests from getting into your home during the winter. However, sometimes they still manage to work their way in. If you believe you have a winter pest problem then make sure you get in touch for advice and a solution.